The mainstream media pushes scary crypto myths because they’re an easy way to get pageviews. But if you actually buy into those myths, you could miss out on one of the greatest investment opportunities of our lifetimes. Below, I’ll debunk five crypto myths that are losing you money. Uniformity: In other words, every “dollar” or bitcoin is the same as the next one. When you’re talking about using seashells or cows as currency, uniformity is hard to achieve. Divisibility: Dollars and bitcoin need to be divisible, broken up into small increments to cover a wide range of value transactions. Cows? Not so much, unless you’re hosting a barbecue. Portability: Your currency must be easy to transfer and store. Durability: Older, agriculturally based forms of money have a shelf life. Gold is the ultimate when it comes to durability. Paper notes fall to pieces. Limited supply: A currency is worthless if there’s no scarcity to it. Just consider the 100 trillion dollar note issued by the Zimbabwean government — it’s a simple reminder of what ultimately happens when governments try to endlessly print their way to prosperity. Acceptability: To be considered money, the asset has to be widely accepted. People all over the world will take U.S. dollars. They won’t, however, take (say) Turkish lira. Bitcoin (CCC:BTC) holds all of these characteristics with the exception of acceptability — although that is rapidly changing. Japan passed a law in 2017 that recognized bitcoin as a currency. The U.S. state of Wyoming just did the same, and the move could impact the future of bitcoin for decades to come. Other companies and cryptos like Square (NYSE:SQ), Bitpay are Pundi X are making it easier for people to buy, sell and use crypto in their day-to-day lives. Bitcoin is nowhere near as anonymous and untraceable as cash. It’s pseudonymous. That is to say, a bitcoin address can be tied to a particular user. You may not know who that user is, but that user has an identity. Think of it like a username on a website. You may not know who’s behind it, but that username is tied to a particular person — and their actions are tied to that username. The whole point of bitcoin is that it’s transparent. Every transaction is recorded on the blockchain and visible to everyone. It’s no wonder that the U.S. Drug Enforcement Agency Cyber Investigative Task Force reports that bitcoin usage for illegal activity has plunged by nearly 90% in the past five years. Yes, bitcoin has been the method of payment by some criminals in the past. But by some estimates, 90% of U.S. dollars have traces of cocaine on them from being used in the drug trade and no one is suggesting eliminating dollars. So as long as there’s crime, all forms of money will be used to facilitate it. But bitcoin actually puts criminals at a greater risk of getting caught than cold, hard cash. In certain circles, bitcoin and cryptocurrencies, in general, are synonymous with hacking — thanks to some high-profile hacks of cryptocurrency exchanges. We have to draw a line in the sand, but a cryptocurrency exchange getting hacked is very different than bitcoin getting hacked. Bitcoin itself is one of the most secure assets an individual can own. But it’s 100% up to the individual to secure it themselves! Third-party hacks are commonplace throughout the financial system. Just look at U.S. credit reporting agency Equifax (NYSE:EFX), where social security numbers and other personal information of up to 143 million Americans may have been compromised. That’s a catastrophic breach. And this kind of thing happens all the time. So there’s no use worrying about bitcoin “hacking” when you can take full personal control and accountability for securing it yourself (rather than be at the mercy of an incompetent third party). Right now, there are more than 10,700 computers around the world running the bitcoin network’s code. For the most part, the people running those computers are doing it to make money. In exchange for contributing to the network, they get paid small fees in bitcoin. Occasionally, they earn bigger blocks of freshly created bitcoin (through a process known as “mining”). It’s a brilliant incentive model. And it’s one that will evolve over time. When bitcoin hits its supply cap of 21 million coins, miners (or the computers running the bitcoin network) will get 100% of their compensation in the form of fees. Right now, four different authorities in the U.S. see cryptos four different ways. One considers them securities, one property, one a commodity and one a form of money. What’s clear, though, is none of them consider crypto illegal. And, for the most part, they’ve taken a slow, thoughtful approach toward regulation. Countries like China that have taken a hard stance on cryptos have seen crypto companies and entrepreneurs leave the country for more open jurisdictions. Governments around the world are literally competing to attract crypto companies (and the tax dollars they bring). Closing the door to those companies means closing the door on an explosion of innovation, talent, intellectual property and emerging technology. At its most basic level, bitcoin has contributed something remarkable to the world: The ability to send value across the internet without needing to trust or use a bank, middleman or government. That contribution is having ripple effects on just about every industry on the planet, and we’re just getting started. No matter how long these crypto myths hang around, I believe we’ll see $100,000 bitcoin a lot sooner than most investors think. Ready to buy your first bitcoin? Learn how here. As of this writing, Fred Marion was long bitcoin. 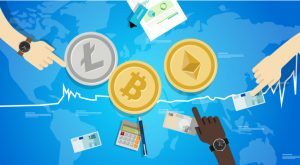 Article printed from InvestorPlace Media, https://investorplace.com/2019/03/crypto-myths-costing-fortune/.